With its customisable data, scheduling, recipients and languages, Scheduled Reporting gives you the information and flexibility you need to keep your stakeholders in the know. The Create Report window displays. In the Report Name field, enter an identifier for the report, for example, Weekly Summary Report. In the Delivery Schedule field, create a schedule to run reports at regular intervals and deliver to the inbox of stakeholders or run a report as the information is needed and distribute accordingly. Daily — Specifying a time. Weekly — Specifying a day and time. Monthly — Specifying a date and time. Note: The time selected for the schedule is in UTC and not relative to the user time zone. 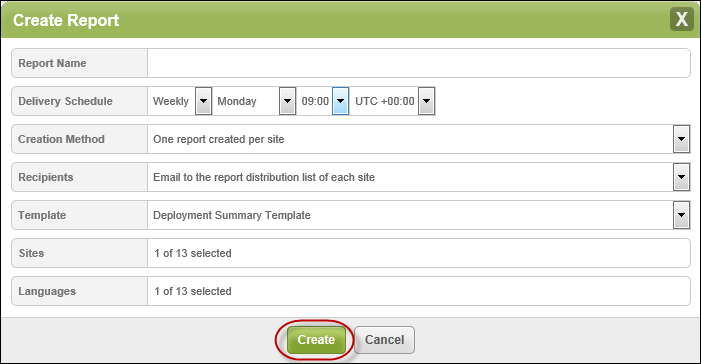 Create one report for each selected site. Create one report containing combined data from all selected sites. Mail to the report distribution list of each site. Mail to static email addresses provided manually. Mail to both options above. Note: Report Distribution List is a new field which can be modified by selecting to edit site against each site on the sites page. All existing sites have been pre-populated with the emails of all admins already present on that site. In the Templates field, from the drop-down menu, select the data template to be included in the report. 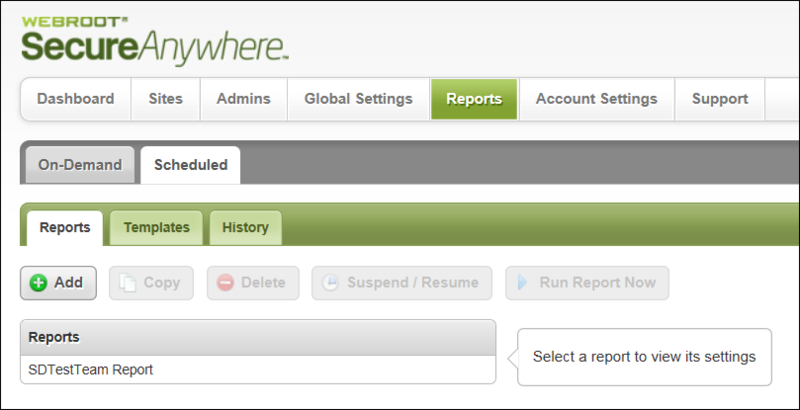 In the Sites field, click in the field and select the sites to be included in the report. In the Languages field, click in the field and select the languages for the reports to be created in. Any default text, such as graph axes and chart titles will be provided in the selected language. If multiple languages are selected, then one report per language will be created. The language options are: German, English, Spanish, French, Italian, Japanese, Korean, Dutch, Portuguese, Russian, Chinese (Simplified), Chinese (Traditional), Turkish. When you're done setting up the report, click the Create button.